What happens when boozy cherries, cherry bourbon, chocolate bourbon and coconut liqueur get together? Deliciousness! That’s what happens. It may not look pretty, but it is freaking awesome! Muddle 2 cherries in the bottom of each glass. Combine all liquid ingredients in a shaker or glass, add ice and stir until well chilled. 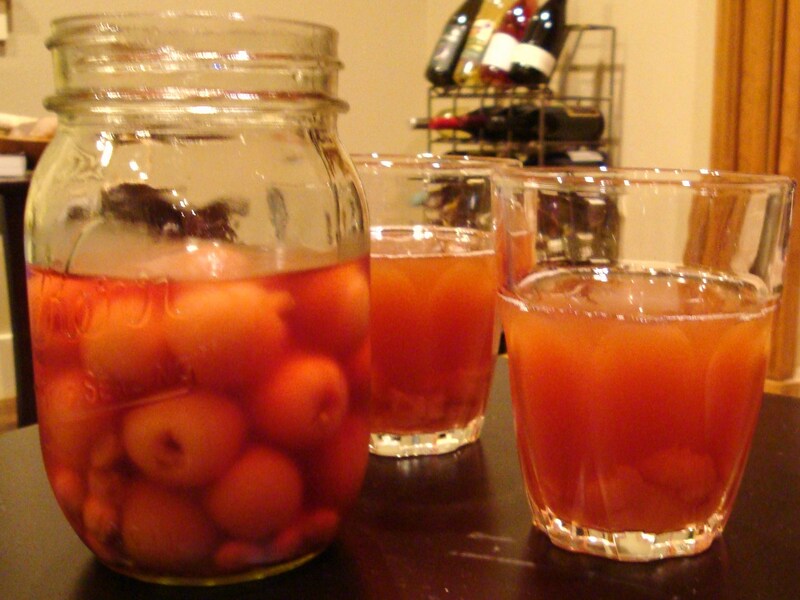 Strain into glasses over the muddled cherries. The boozy cherry syrup is a simple syrup that is infused with a spirit of your choice and fresh cherries. We will (at some point… probably cherry season) post our boozy cherry recipes. But we have cocktails to make and booze to infuse… please be patient. This cocktail used a lot of the flavors that we have shown you over the last few months. If you don’t have all of them, I’m sure you can figure out some substitutions. Coconut liqueur is a pretty easy one to figure out, as is the cherry bourbon. If you don’t have the Chocolate Bourbon… please make it ASAP! Enjoy the weekend… we are! Categories: Cocktail, Drinks, Recipes | Tags: Bourbon, cherry, chocolate, cocktail, coconut, preserved cherries, recipe | Permalink. Cherries and chocolate AND coconut?! Make it stop!